A born and bred Bristolian, Andy was immersed in music from a young age, growing up on a strict diet of Genesis/Phil Collins, Whitney Houston and Dire Straits. After his first gig watching the Arctic Monkeys at the CIA, Andy found himself becoming a regular gig-goer. Festivals are also a favourite pastime of his, with Worthy Farm like a second home. Some of his favourite current acts include Arcade Fire, Kanye West, Radiohead, Bombay Bicycle Club, Wild Beasts, TV On The Radio and Eminem. He is also fond of music from the '60s, with Motown artists like Marvin Gaye, Four Tops, Smokey Robinson and The Temptations among his favourites. 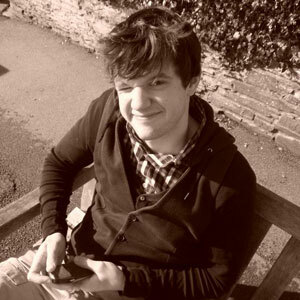 After graduating from Southampton University, Andy completed a journalism course, before going on to work for the Wiltshire Times and his current job at the Bath Chronicle.